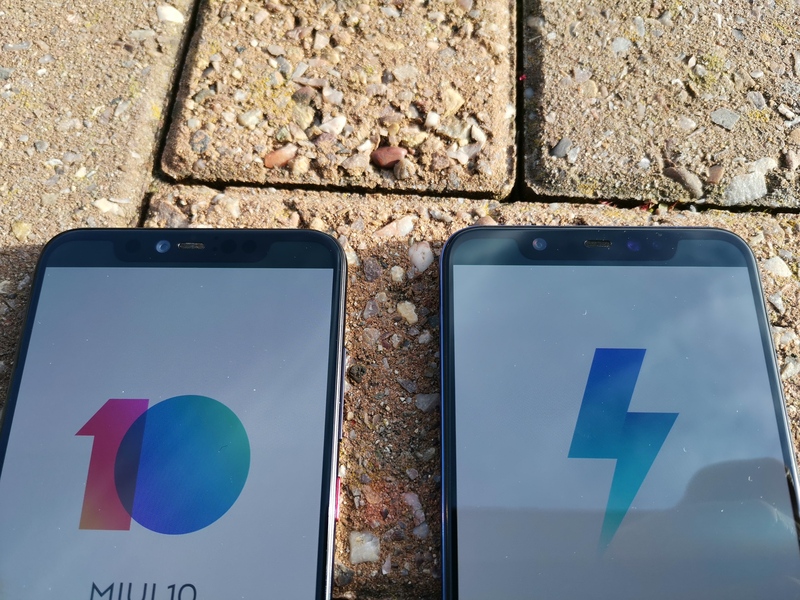 Xiaomi Mi 8 vs the Xiaomi Mi 8 Pro. Face off! 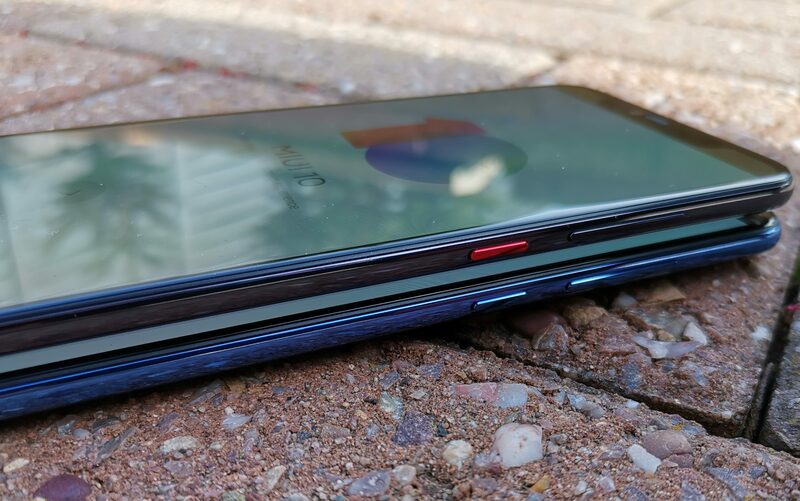 OK, so if you’re looking to get the Mi 8 Pro, definitely dive into our Xiaomi Mi 8 Pro review. 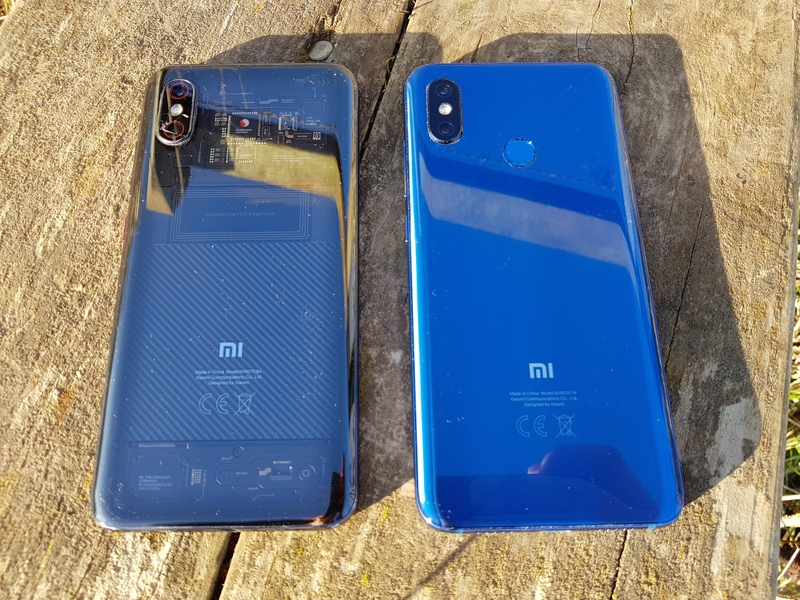 The Mi 8 Pro is a flagship phone which costs just £499. 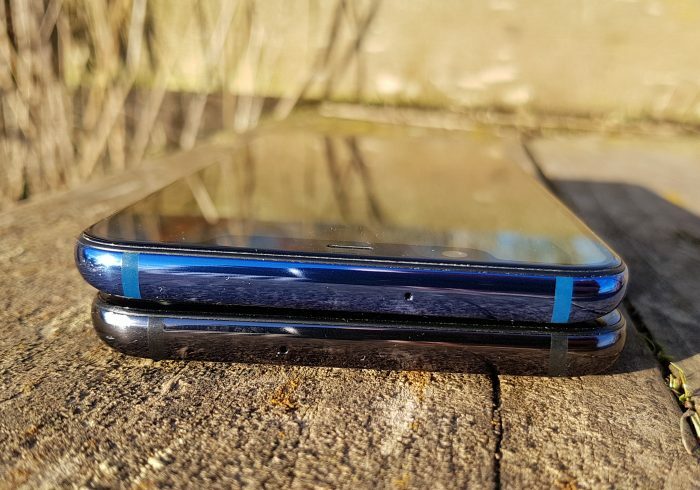 It has an in-display fingerprint reader, a transparent back with the chips and NFC showing (ok, so they’re not real but, still cool) and a 3000mAh battery. 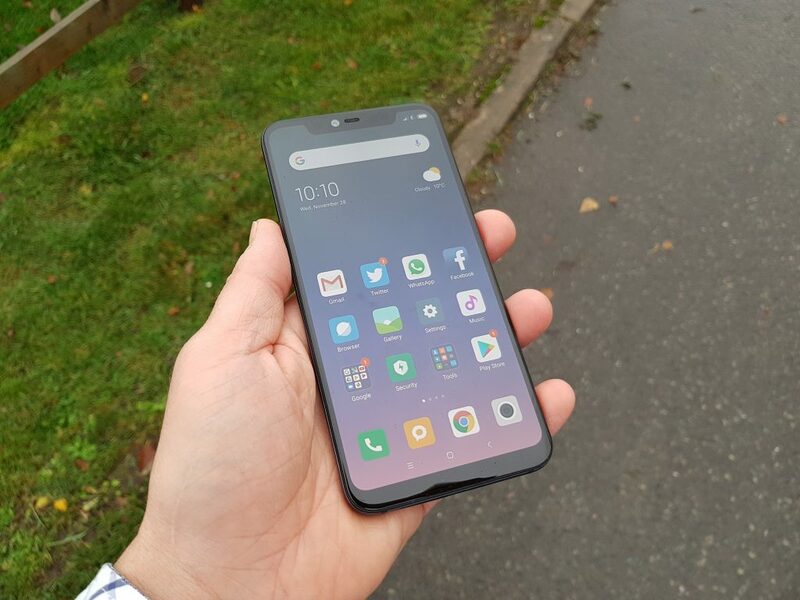 However, there’s also the Xiaomi Mi 8, which is £429 at the moment. 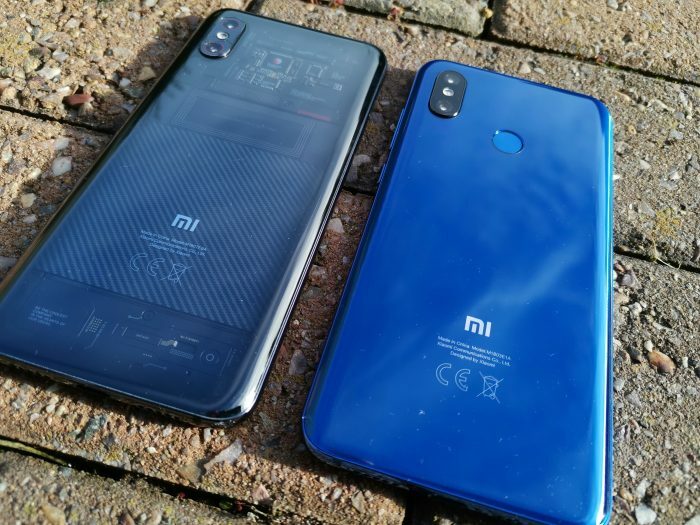 Oh, and before I get going, there’s also the Mi 8 Explorer Edition, which looks a lot like the Mi 8 Pro and confuses my brain because it’s got the same 8GB memory and 128GB storage, the same transparent back and the same battery. I… I’m just going to ignore that for now because it’s still early in the morning and I’ve not had my coffee yet. 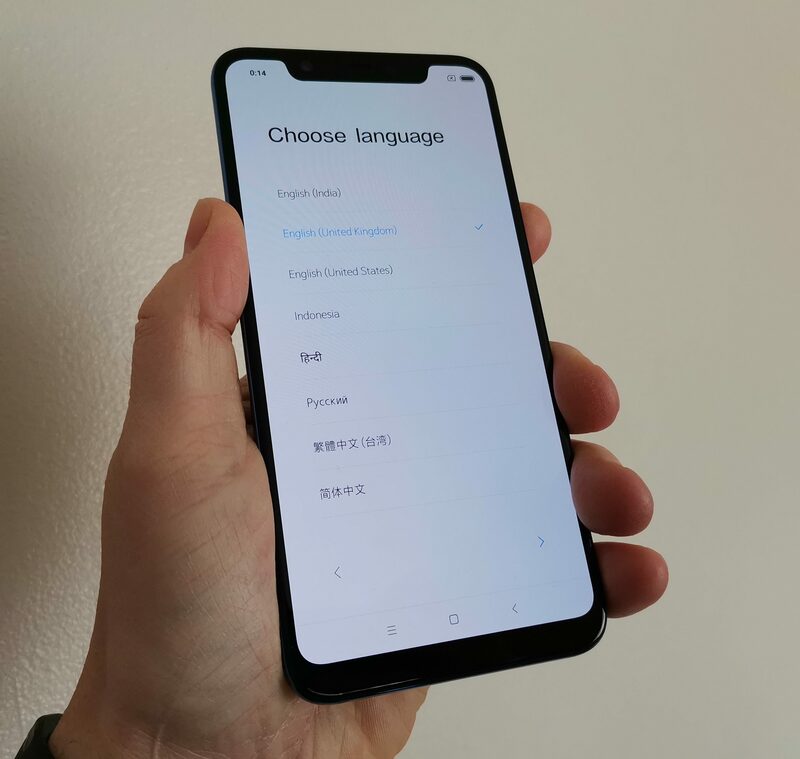 Anyhoo – back to the Xiaomi Mi 8. It does NOT have the transparent back. It does NOT have the in-screen fingerprint reader and comes with a bit less RAM. Only 6GB here but hey, 6GB is still a lot. 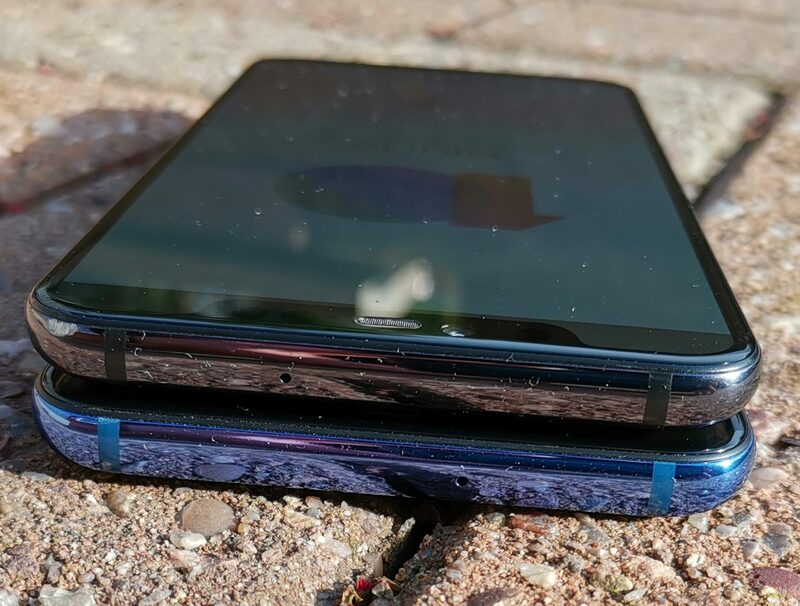 There’s a couple of storage variants – either the 64GB or 128GB one. 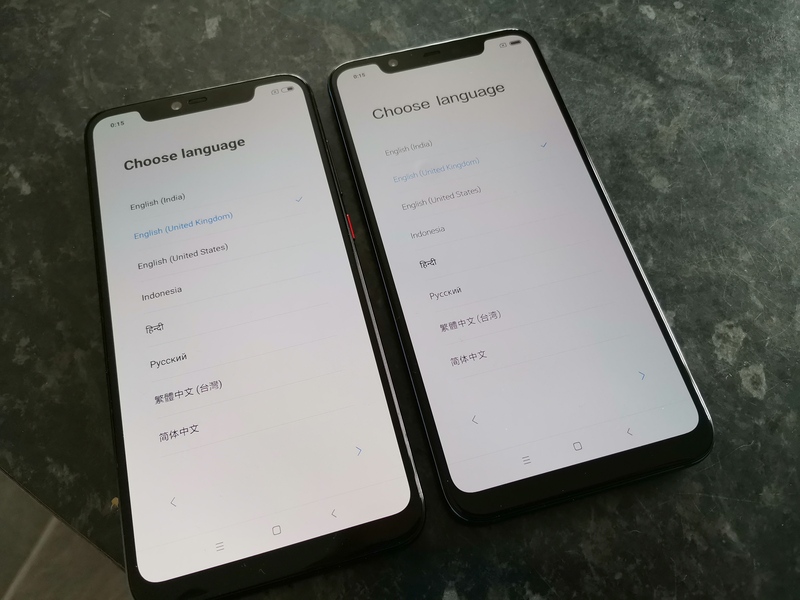 It comes with a bigger battery though – 3400mAh instead of the 3000mAh battery in the Mi 8 Pro (and the 3000mAh one in the Explorer Edition) but still has the same processor – a Qualcomm Snapdragon 845 octa-core CPU running up to 2.8GHz plus a Adreno 630 GPU. Oh, and it’ll do Quick Charge 4 too. Between the two, there’s no huge difference in terms of design (other than the fact that the fingerprint sensor is on the back). That display is a 6.21″ AMOLED unit which is 2248 x 1080 FHD+ and has a 402 PPI resolution. The screen has got an always-on mode and it’ll do “sunlight mode” plus reading and standard. The camera setup is a rear 12 megapixel wide-angle and a 12 megapixel telephoto lens with stabiliser tech so that you can zoom in and it won’t wobble like crazy. There’s a flash, HDR and it won’t go too blocky when you zoom in. Up front, there’s a 20 megapixel camera with more AI tech, a beauty mode and scene detection. It has face unlock too. 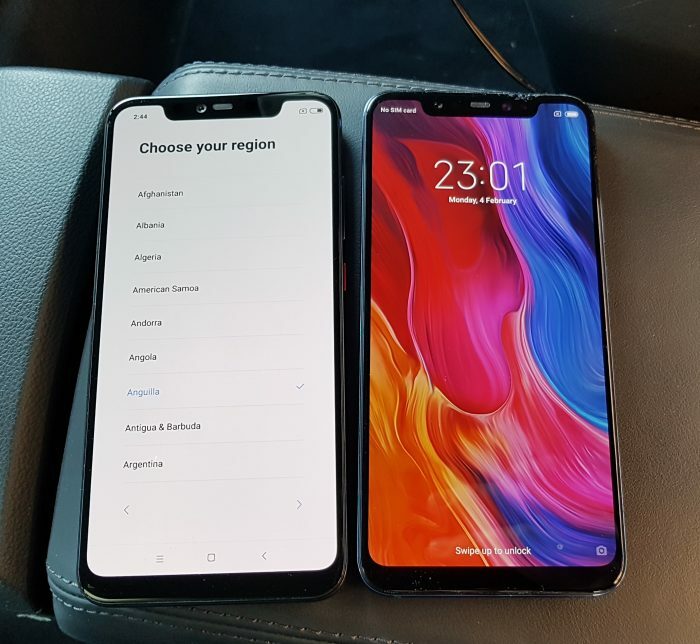 Other specs include dual-band WiFI, dual-frequency GPS, Bluetooth 5.0 and a USB-C charging port. Here’s the rear, obviously the Mi 8 Pro on the left has that trick see-through panel and no fingerprint sensor because it’s inside the screen. 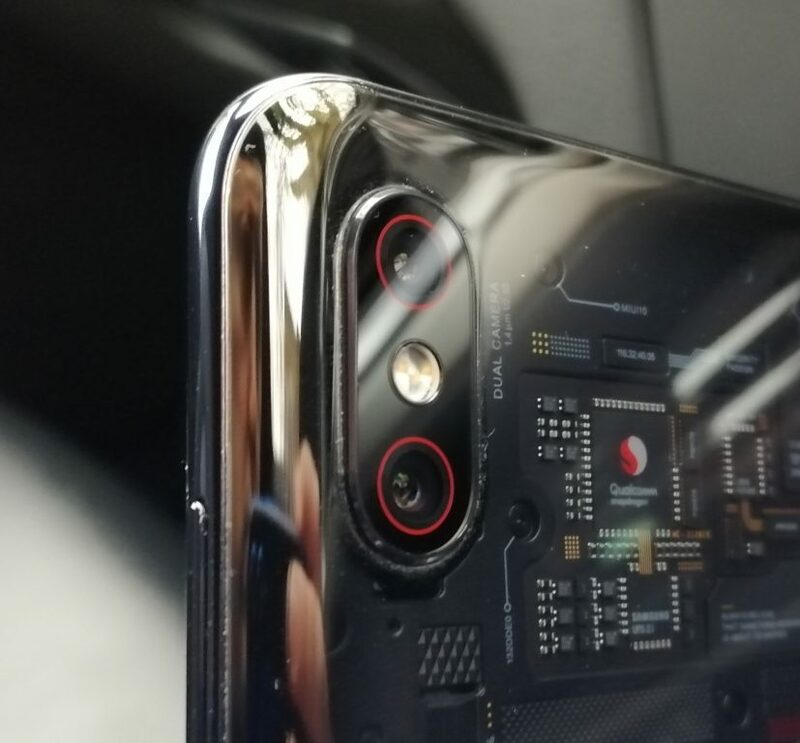 On the Mi 9, to the right here, there’s a small but perfectly-located fingerprint sensor at the bottom. I know I shouldn’t really say this, but the actual “real” fingerprint sensor on the Mi 8 actually worked better.. The top and, although it’s hard to see, the secondary microphones are in slightly different places.. 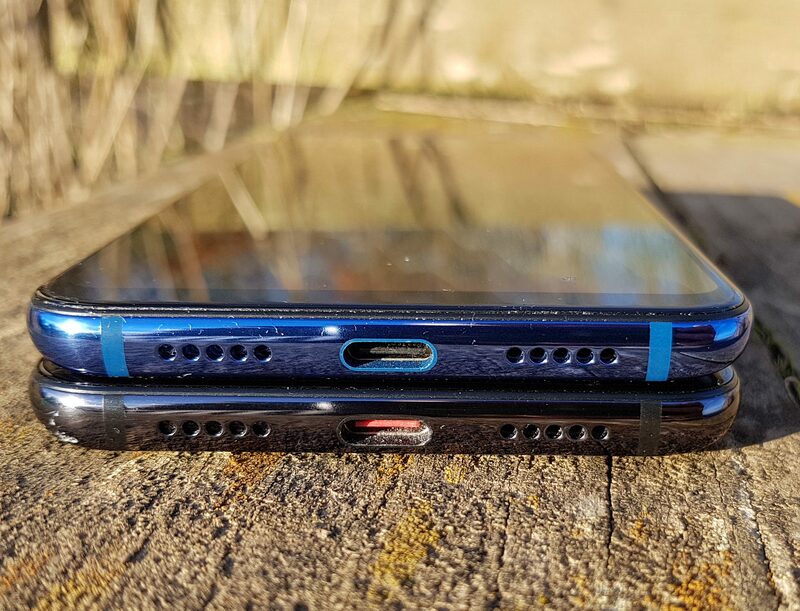 Both the Mi 8 (top) and the Mi 8 Pro (bottom) have USB-C charging ports, but the Mi 8 Pro has some added coloured bits inside the charge port. 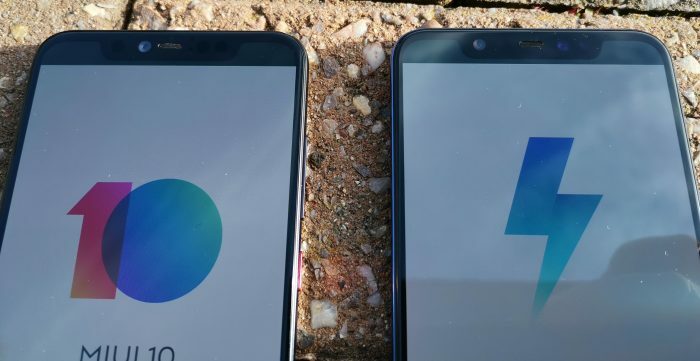 Overall, the two handsets are very similar indeed. 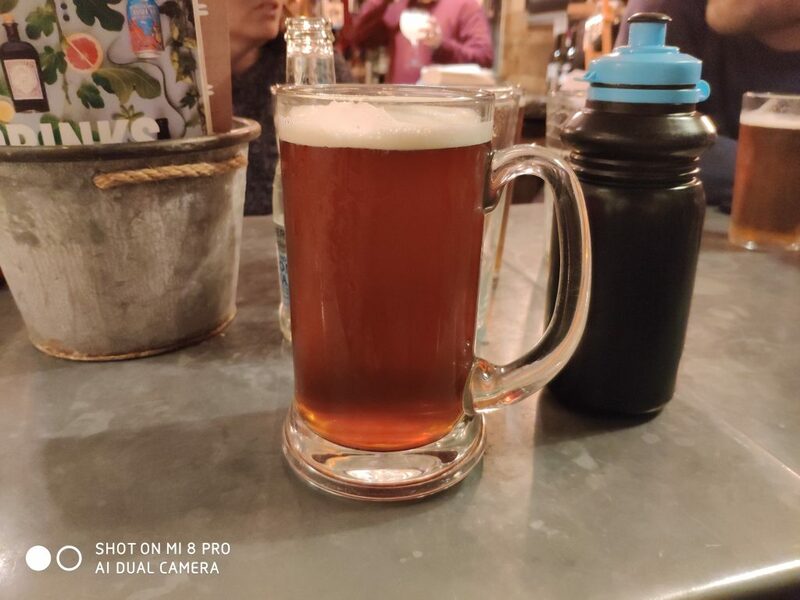 I’ll be adding some example photos from the Mi 8 shortly, but don’t forget to have a look at my previous reviews of the Mi 8 Pro, which is really very similar indeed. 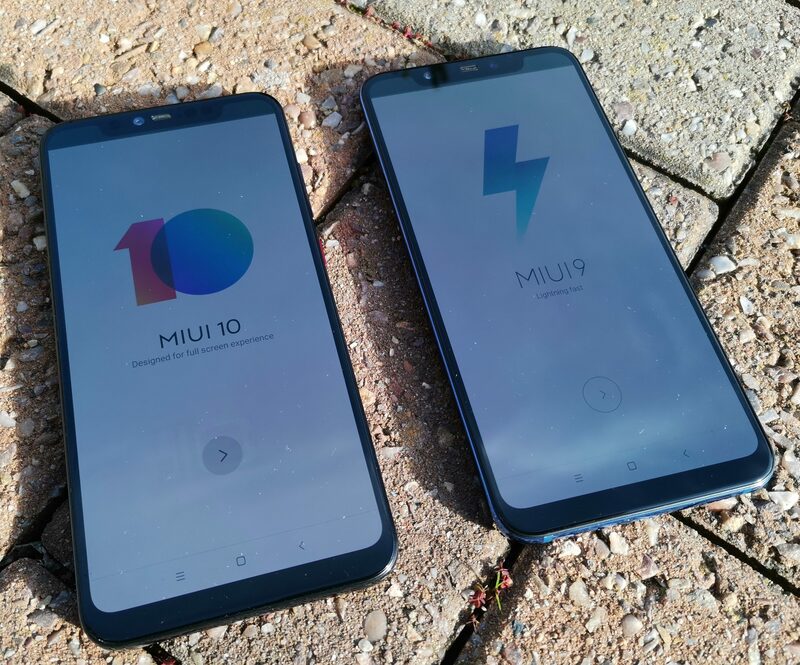 Get the Mi 8 for £429 right here or the Mi 8 Pro here for £499. Block ads from sites and apps too. AdLock. Downloading that YouTube tune to your phone - still possible.